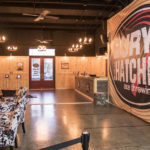 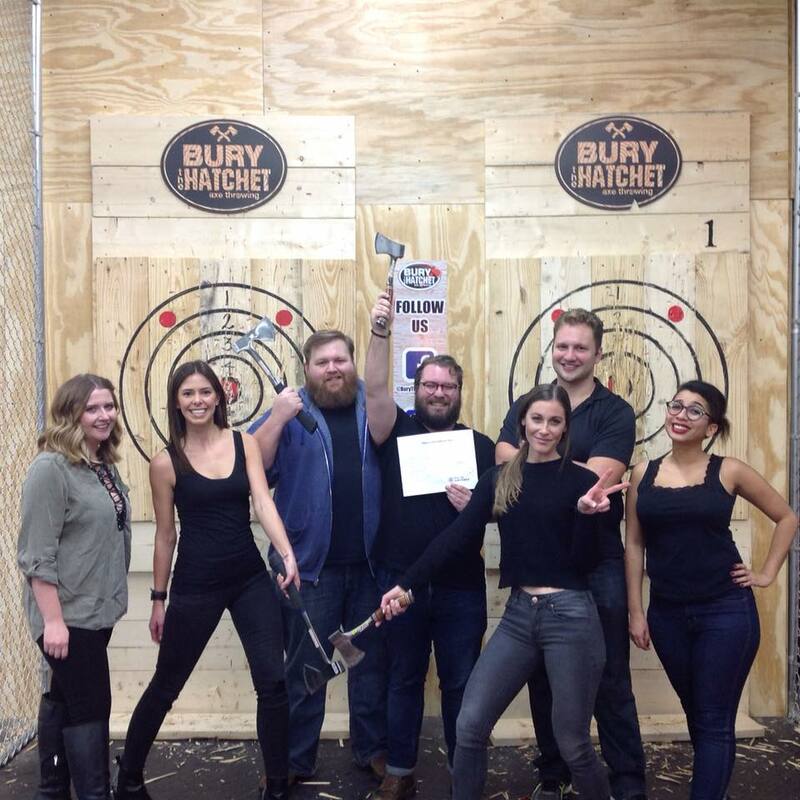 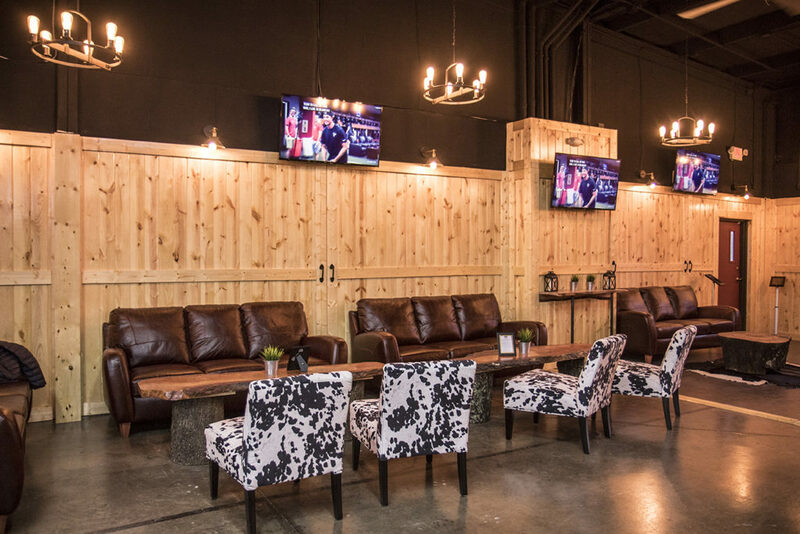 Enjoy axe throwing at our newest location in Atlanta! 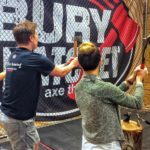 Come learn how to throw an axe from a trained professional before playing in a tournament style game with your friends. 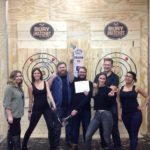 Tournaments are similar to playing a game of darts or bowling – except way more fun and exciting. 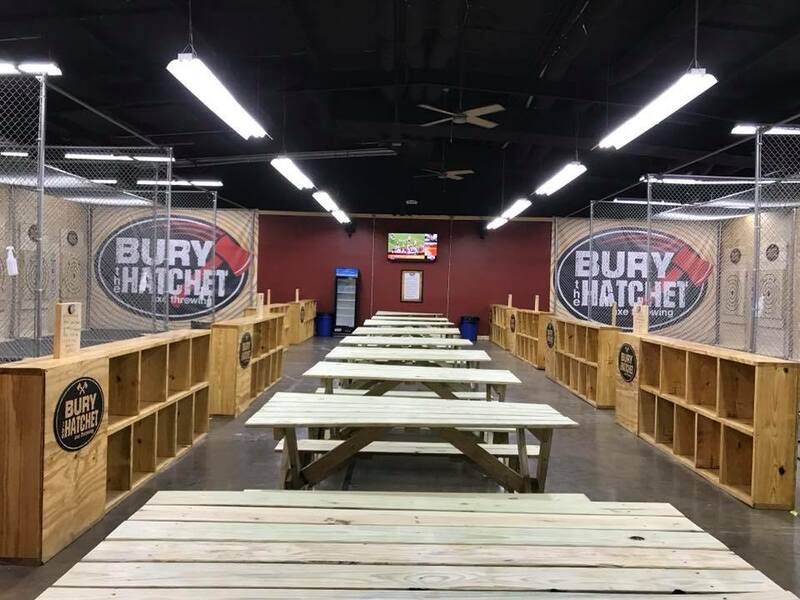 We guarantee you’ll have a blast at Bury The Hatchet Atlanta. 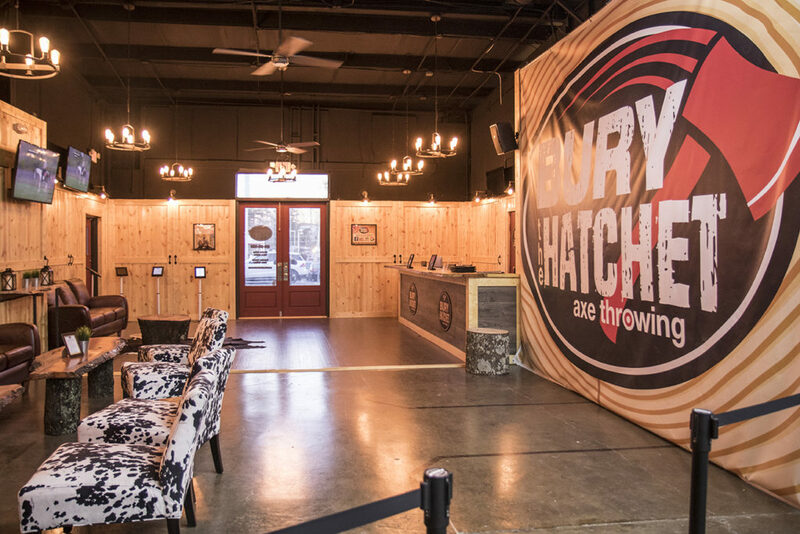 Finally, there’s something new to do in Atlanta! 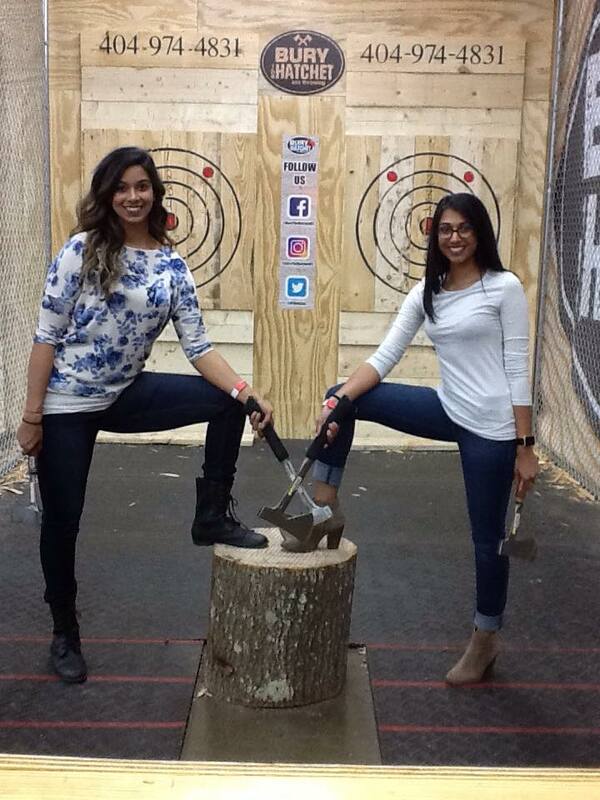 Come try axe throwing at our brand new state of the art location in Sandy Springs. 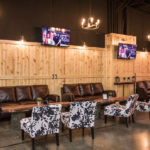 It’s a fun new way to get together with friends over a game that’s fun and exciting. 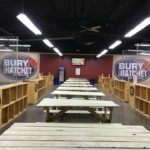 The way you play is similar to darts in that you’re trying to rack up points and get to 21 first by hitting different numbers on the target. 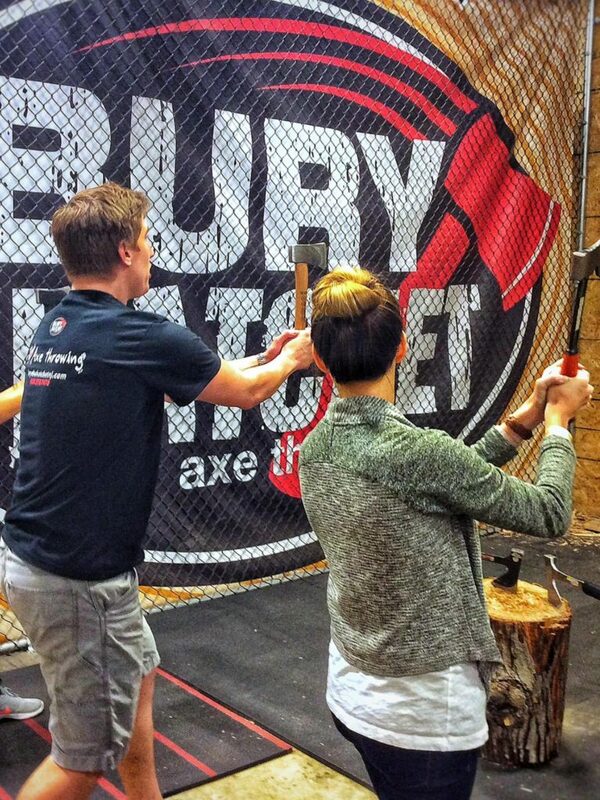 The only difference is you will learn how to properly throw and hit the target with an axe! 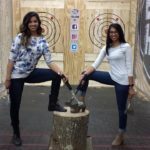 It’s also a social game for great for groups, like bowling.